While there's a strong speculation that the government, in light of its Make in India agenda, could announce a big change in the tax structure, experts say the centre could also announce higher custom duty on consumer electronics items, thereby making these mobile phones and laptops costly. This year's Budget could bring happiness for domestic electronics companies but it might not be good news for the consumers of foreign electronic products, which are manufactured outside India. While there's a strong speculation that the government, in light of its Make in India agenda, could announce a big change in the tax structure, experts say the centre could also announce higher custom duty on consumer electronics items, thereby making these mobile phones and laptops costly. Experts stress that ever since the Modi government came to power it has focused on promoting companies that manufacture in the country. If the government goes ahead with increasing the custom duty, the prices of electronic items are bound to increase as companies would transfer the increased burden on to consumers. The government has already taken steps in this direction. On July 1, 2017, the centre government imposed 10 per cent custom duty on mobile phone but increased it to 15 per cent in December. Around 25 per cent of the ACE (Appliances and Consumer Electronics) industry products are still made outside of India; tapping it could provide a much-needed fillip to the sector and the Modi government's 'Make in India' initiative. In addition to announcing initiatives to boost domestic manufacturing, the companies that manufacture in India also expect FM Jaitley to lower taxes. 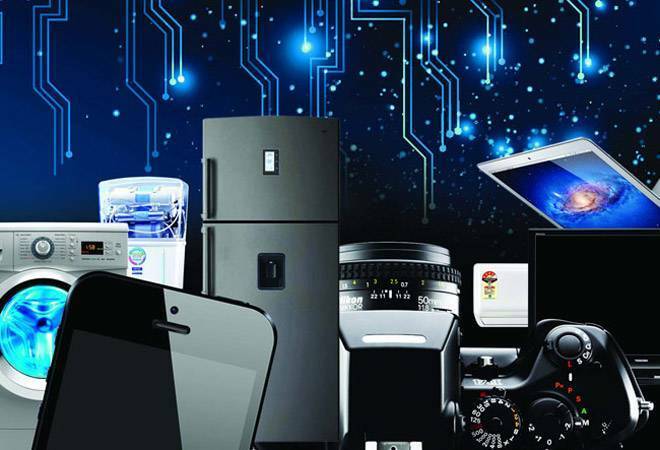 Since this is the NDA government's last Budget before the Lok Sabha elections in 2019, the Goods and Services Tax (GST) relief on appliances and consumer electronics could boost their demand, which could play well in the government's favour. Companies like Godrej Appliances, Panasonic, Philips Lighting and Intex, which holds a major share of the ACE industry in India, feel if the government lowers taxes and increases custom duty on the import of products, there's a great chance a large part of the population that still can't afford basic consumer appliances like refrigerators and washing machines, etc could be covered under the segment. "GST rates on some products used in manufacturing of mobile phones are on a higher side. Battery, shield cover attract 28 per cent, while the GST on the mobile phone is 12 per cent. They should be categorized in the same GST rate bucket of 12 per cent. The higher GST rates for these subparts increases the cost of mobile phones. Reduction in rate would ease pressure on mobile phone manufacturers and also support the Prime Minister's Make in India campaign," says Rajiv Jain, CFO, Intex Technologies. Rajiv said the government has signed free trade agreements with production-based economies like Singapore, Thailand, which lead to increased imports and huge deficit in forex reserves. "It also adversely impacts manufacturing units, whose cost of producing becomes more than cost of imported products." He added that the government should sign the FTA agreement with consumption-based economies like the United States, which might help India companies in increasing export.